Journalist Mike Watson and his wife, Phylis, trace it back to the strange showering lights they noticed on the final day of their honeymoon cruise: lights which appeared to land and disappear into the water. Reports mount of similar sightings all over the world. Governments embark on missions to investigate the sea, but ships disappear and diving crews never return to the surface. 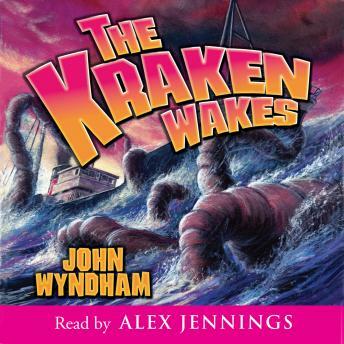 Something deep in the ocean does not want to be disturbed.The Kraken Wakes is a tale of humanity's efforts to resist alien invasion, narrated by Mike, who unfolds the story as experienced by the couple - from the earliest signs of trouble, to the conflict between the sea-dwelling creatures and the human world. John Wyndham's classic science-fiction masterpiece is powerfully brought to life in this unabridged production.